There has been a lot of speculation lately as to who the Arizona Cardinals need to go after for their quarterback of the future. They bypassed selecting one of the many talented quarterbacks in this year’s NFL Draft, and I felt that was a good decision since they already have three young somewhat talented quarterbacks on their roster. I can’t wait until the NFL lockout is over so we all can see what the Cardinals are going to do to find their new starting quarterback via trade or free agency. Here are my top picks, and the reasons why. 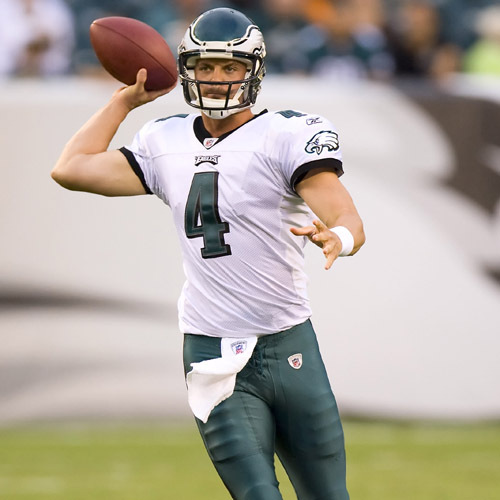 My first choice for the new starting quarterback job with the Arizona Cardinals would not be Kevin Kolb, like so many other people have suggested. As a matter of fact, Kolb is not even in my top three. Kolb is young at 26 and has four years of experience in the NFL, but has not been able to crack the starting lineup with the Eagles. He has struggled to adapt to the pro style offense. In his four years in the NFL, Kolb has only played in 19 games and only started a total of 7, so to me he is still a big question mark. He has shown signs that he can be a starter in the NFL, but has also shown some real inconsistencies. Last year alone, he played in 7 games and had only 7 touchdowns and 7 interceptions as well. His passer rating ranged from a low of 37.0 to a high of 133.6. His total passer rating for 2010 was 76.1. He was sacked 15 times last year, and only ran the ball 15 times for a total of 65 yards. A real concern is that he has fumbled the ball a total of 9 times in 19 games (7 as a starter), losing 5 of them to the opposition. He only had one game where he passed for over 300 yards last year, and for the first time in his career, passed for over 1,000 yards in a season. He is an accurate passer with his short routes and has completed 60.8% of his passes in his NFL career. He has decent arm strength to go vertical, but tends to become less accurate when throwing deep. Overall, I feel that he has not developed enough to take a chance on making him your starting quarterback, and still has too many unanswered questions regarding his ability to play in the NFL. Although not a popular choice from what I am hearing, my first choice for the starting quarterback role in Arizona would be Kyle Orton of the Denver Broncos. He is only 28 years old, but has already proven himself to be a NFL caliber quarterback. He started in Chicago as a rookie and had some struggles there while adapting to the NFL. When he was traded to Denver, he really started to show what he was capable of as he matured as a player. In his two seasons in Denver, he has passed for an average of 3,728 yards per year with a 60.54% completion percentage. He was in the top 10 of all NFL quarterbacks in total passing yards, completions over 20 yards, completions over 40 yards, and fewest interceptions. Orton passed for over 300 yards in 6 of his 13 games played, and just missed 300 yards in two other games by less than 6 yards. His passer rating has increased every year he has played, and was 87.5 last year, ranking him 15th in the league. Orton has only lost 6 fumbles in his last 28 starts over two years. He only had one game last year in which he threw more interceptions than touchdowns, and out of all quarterbacks supposedly available, his touchdown to interception ratio is by far the best. In his two seasons at Denver, he has thrown 41 touchdowns and only 21 interceptions. Keep in mind Orton has done all this with a limited receiving core in Denver, a losing team, and in an outdoor stadium with sometimes horrific weather conditions. Orton has good arm strength and can throw the ball vertically down-field with accuracy. He has good touch and timing on his passes, and can read the defensive coverages which cuts down his turnovers. He also had good size for a quarterback, and is very tough and a fierce competitor. The one negative is that he has okay feet in the pocket, but will not be a threat to run in the open field. 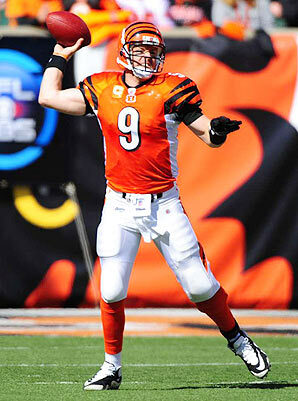 As a backup option, my second choice for the Arizona Cardinals starting quarterback would be Carson Palmer. Palmer is entering his 9th season in the NFL and has been a real consistent quality quarterback ever since his 2nd year in the league. He has a career completion percentage of 62.9%, which is one of the best in the NFL. Last season, he just missed passing for 4,000 yards for the third time in his career, ending with 3,970 yards. Palmer passed for over 300 yards in only 4 of his 16 starts, and passed for under 200 yards in 5 games last year. His passer rating has been above 80.0 every year except his first season as a starter, and the year he was injured, but has decreased every year since 2005. He is averaging 25 touchdown passes per season, excluding his injury season in which he only played in 4 games. Palmer has only lost 5 fumbles in his last 32 starts, and has only been sacked 52 times in his last two seasons. The biggest concern with Palmer is his touchdown to interception ratio. Last year he threw 26 touchdowns and 20 interceptions. In six games last season, he threw more interceptions than touchdowns. Palmer is a good athlete and has good size for a quarterback. He doesn’t have enough speed to be a running threat, but is agile enough to avoid the rush. He has a strong arm and is very accurate. Where he falls into trouble is reading the defense to avoid interceptions. If Palmer was 4 years younger, and hadn’t thrown 76 touchdowns to 57 interceptions over the last four years, he would have been my first choice. 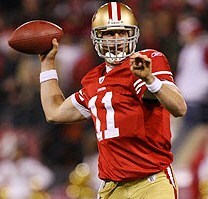 My third and final choice for the new Arizona Cardinals quarterback would be Alex Smith of the San Francisco 49ers. I feel as though he has had a lot of pressure to deal with, being the number one draft pick in 2005, and having to follow in the footsteps of Steve Young and Joe Montana in San Francisco. I think the best thing that can happen to Alex Smiths’ career is to start over with a new team. He has struggled a bit in San Francisco, but at only 27, I think he can excel in the right system with a new team. His last two seasons have been his best by far, but he has been unable to complete a full season at quarterback since 2006. Over the last two years, his completion ratio has been right at 60.0%. He has thrown 32 touchdowns to 22 interceptions in those two years, and has been sacked 47 times in his last 20 starts. His quarterback rating has been the highest it has ever been over the last two years, and he ended 2011 with an 82.1 rating. He has lost only 4 fumbles in his last two seasons (20 starts). His overall stats will not overwhelm you, as they are somewhat deflated because of poor stats during his first three years in the NFL, and the fact that he has only played one full season in his six year career. Smith has good throwing mechanics and looks very natural whether he is making a short throw to the flat, or a deep throw to the corner of the endzone. He is athletic enough that he can occasionally get you a first down with his feet, and can avoid the sack. The biggest concern with Smith is his durability. At 6’4″ but only 217 pounds, he is susceptible to injury, and has only started in 27 games over the last four years. I am anxious for the NFL lockout to be resolved so I can see who the Arizona Cardinals find for their next starting quarterback. I am sure that the receivers and the rest of the Cardinals players are just as anxious. I think we can all agree that there is nobody on their current roster that is capable of leading this team next year. It is critical for the Cardinals to find a quality quarterback this year so they can get back to their winning ways. 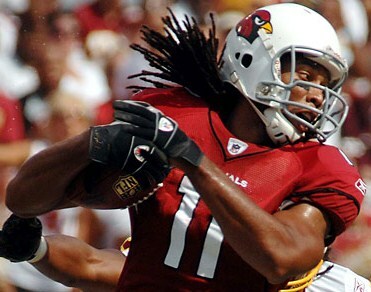 After going 5-11 in 2006, the Cardinals improved their record the next three years, but fell back to 5-11 in 2010. There are some quality free agent quarterbacks available, and I hope the Cardinals do what is necessary to find one. My preference would be Kyle Orton. ~ by Troy Erickson Realtor on May 12, 2011.